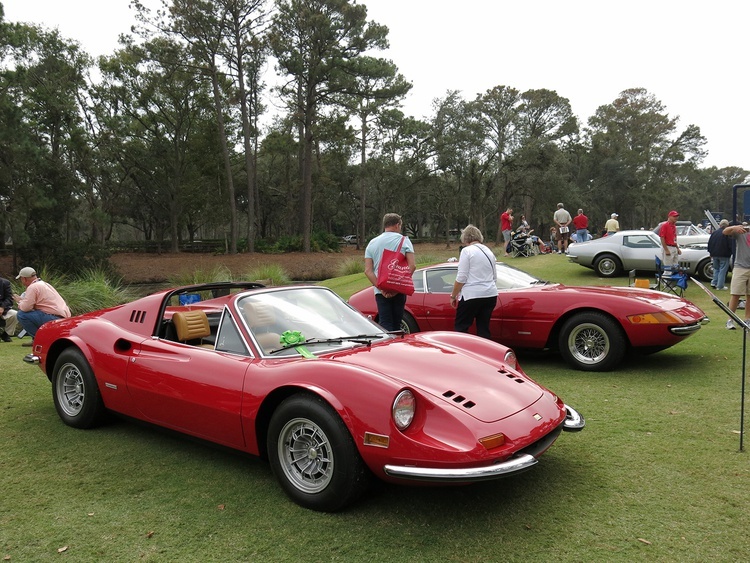 When a Ferrari NART Spyder shows up at your party, you know that you have arrived. 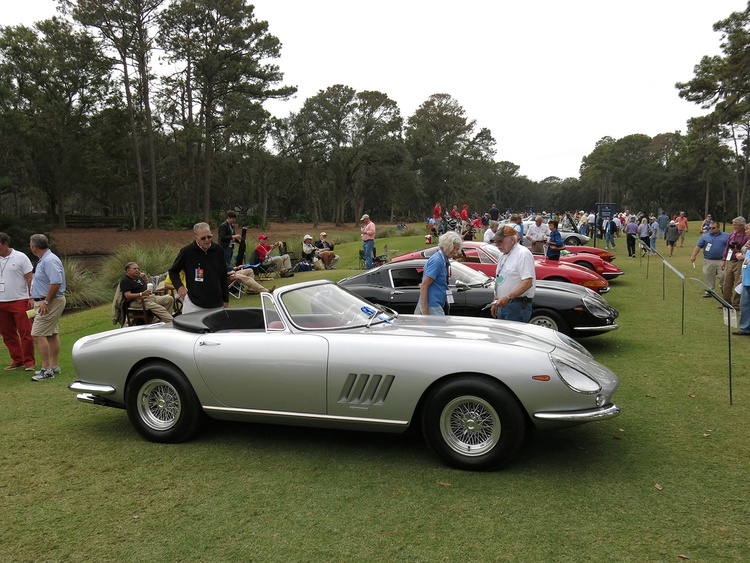 Only 10 were built, and with values somewhere north of $25 million they don’t come out of the house every day. 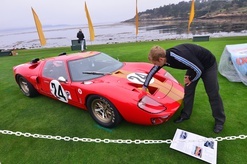 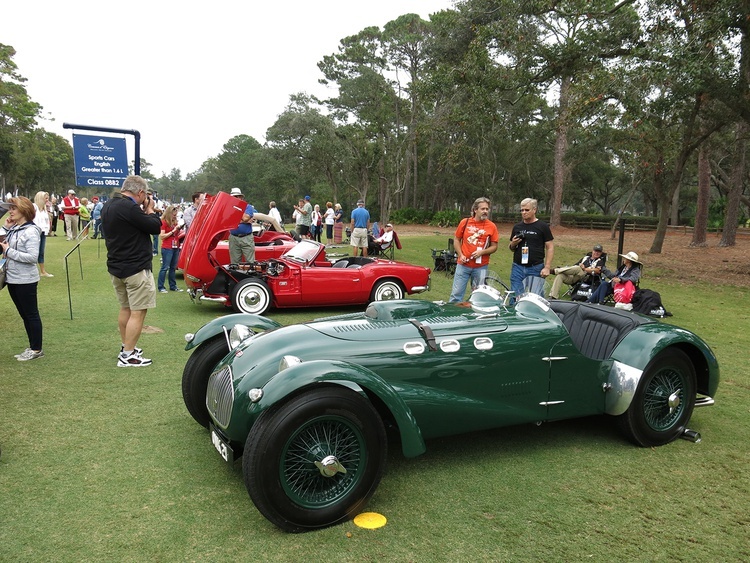 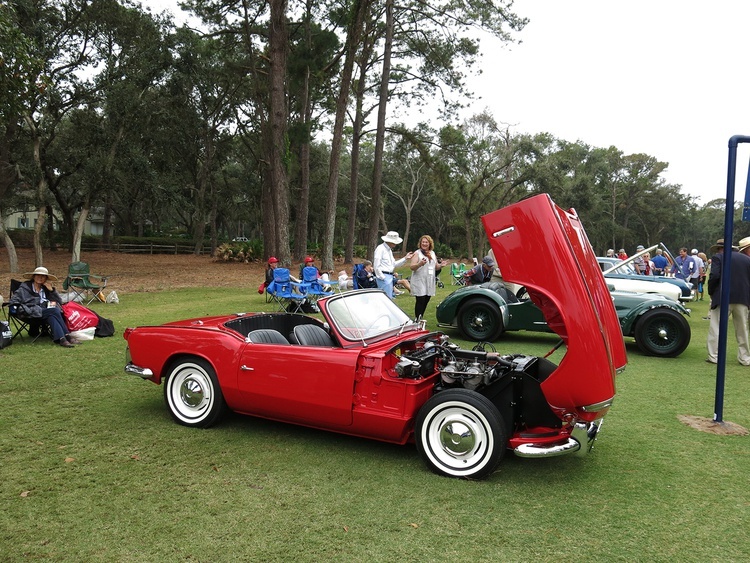 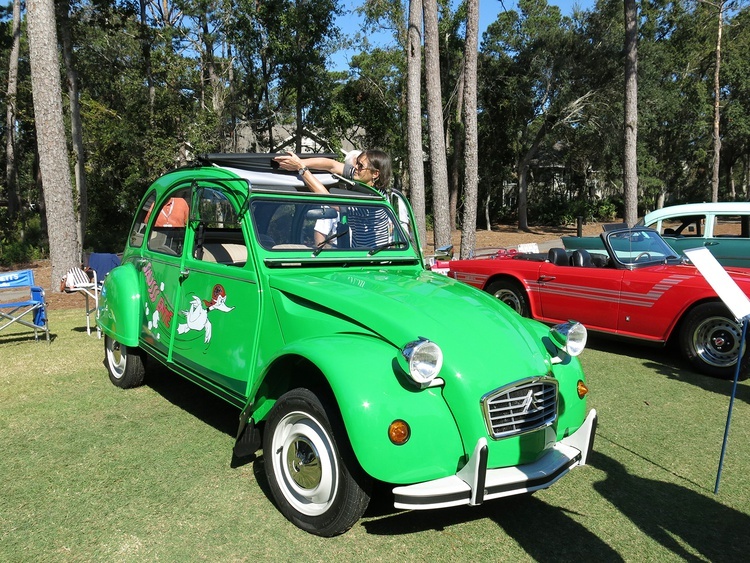 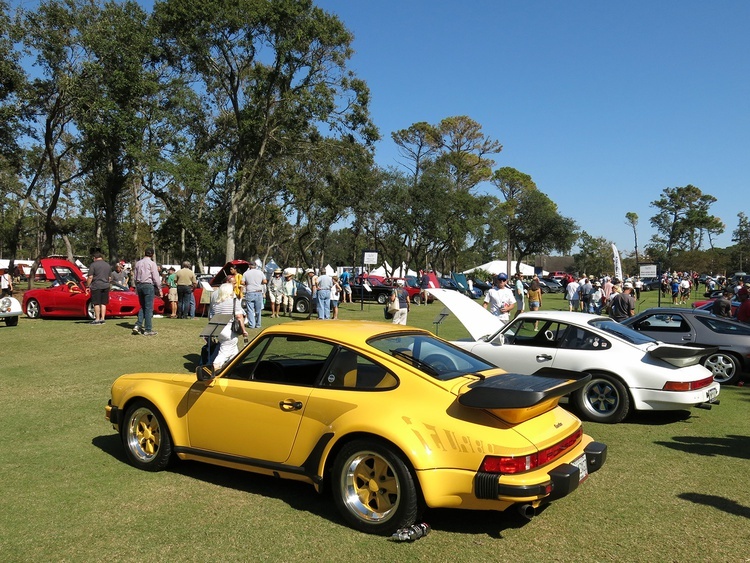 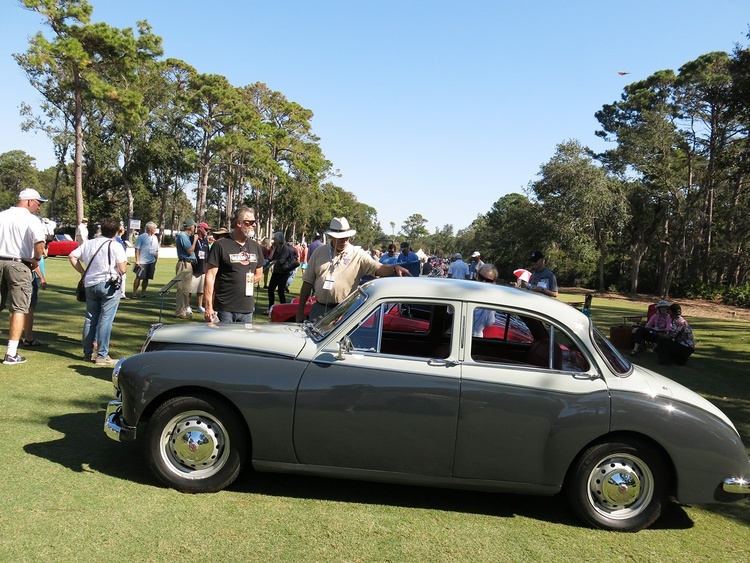 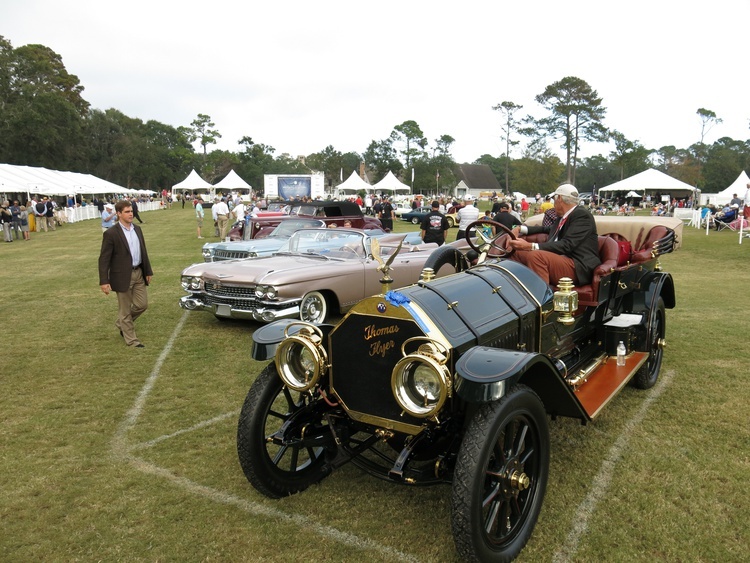 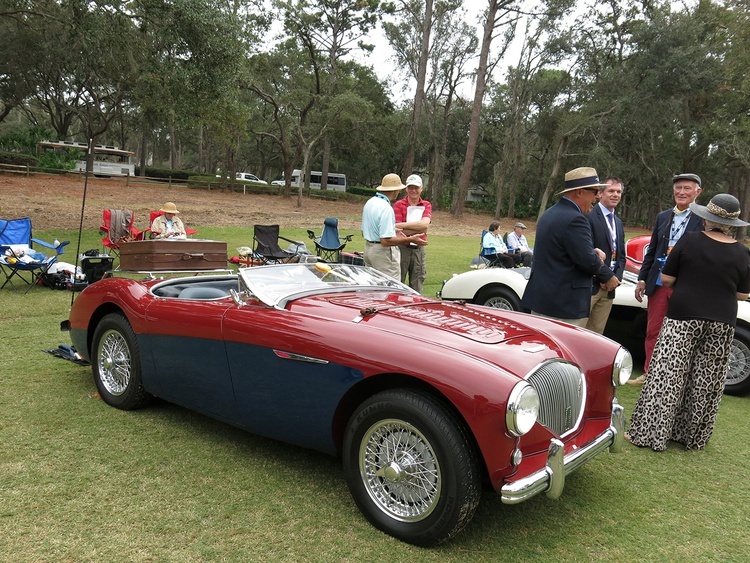 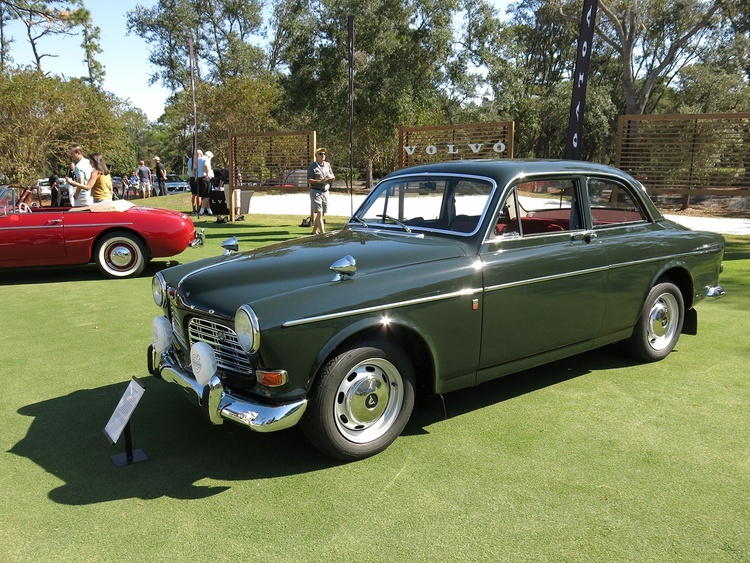 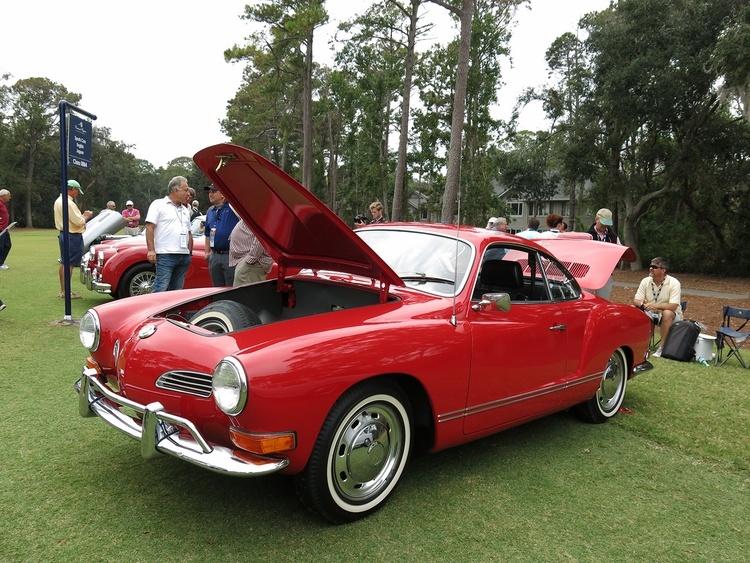 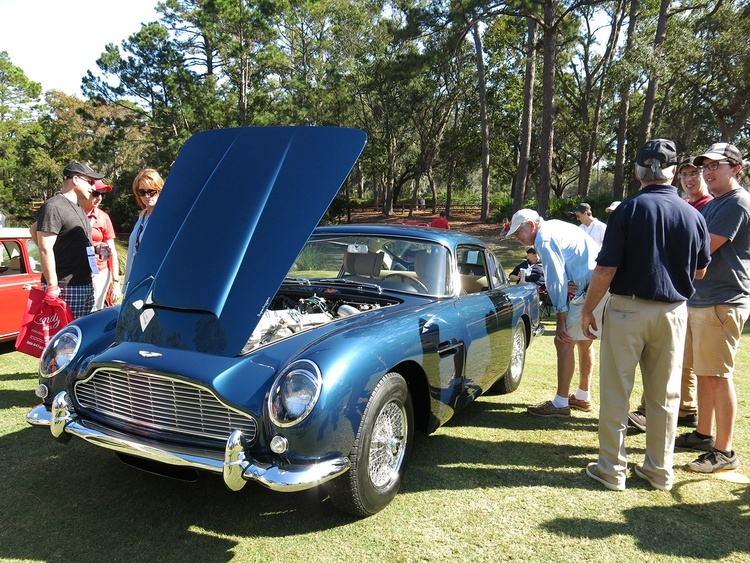 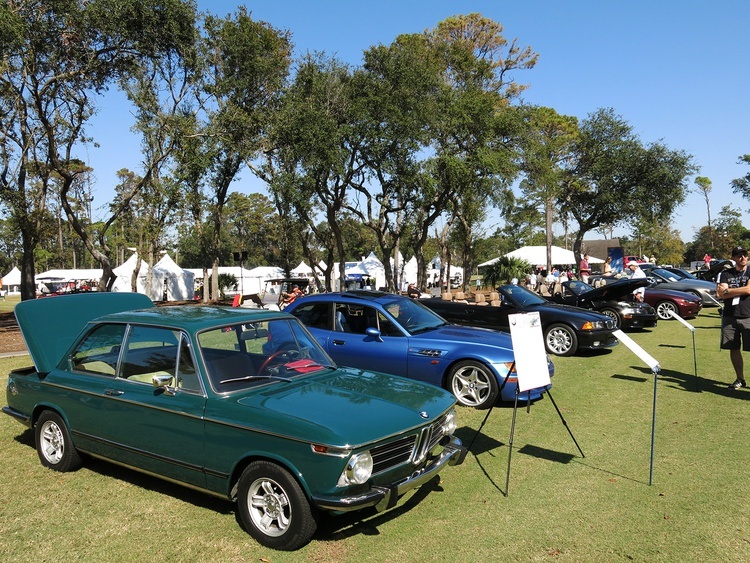 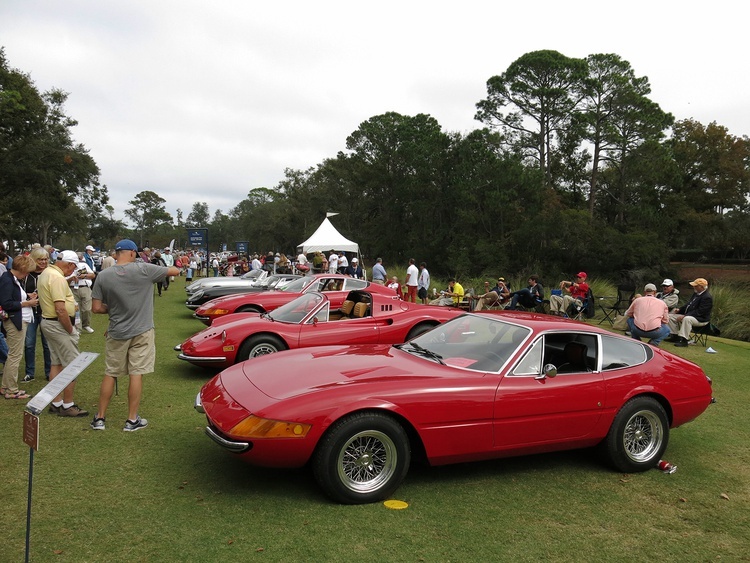 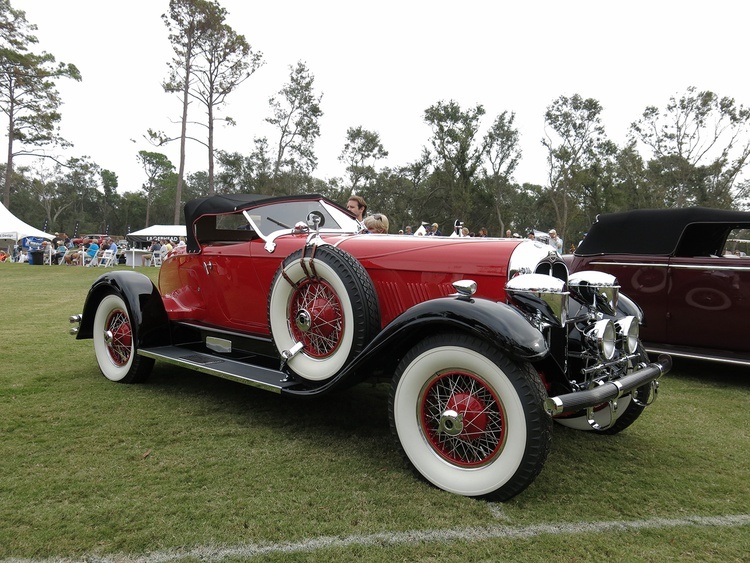 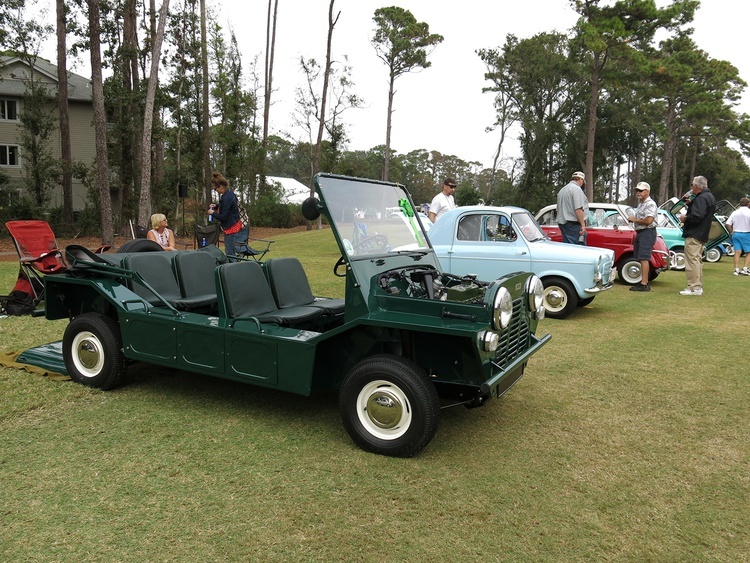 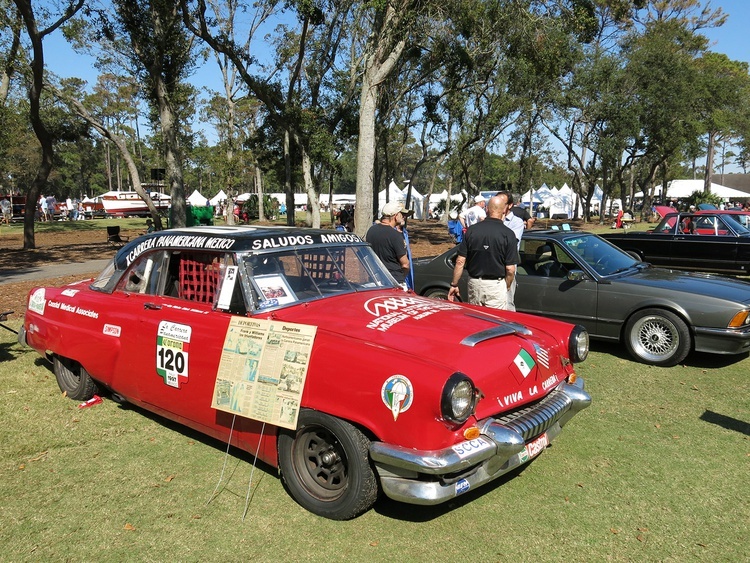 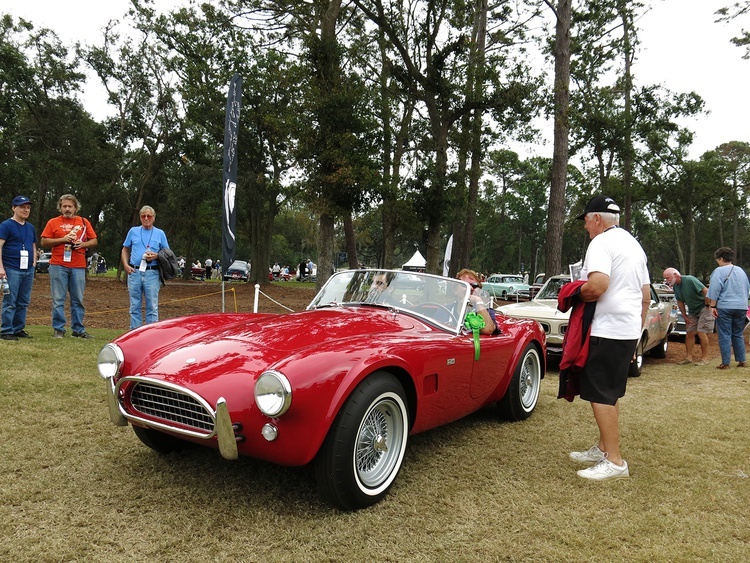 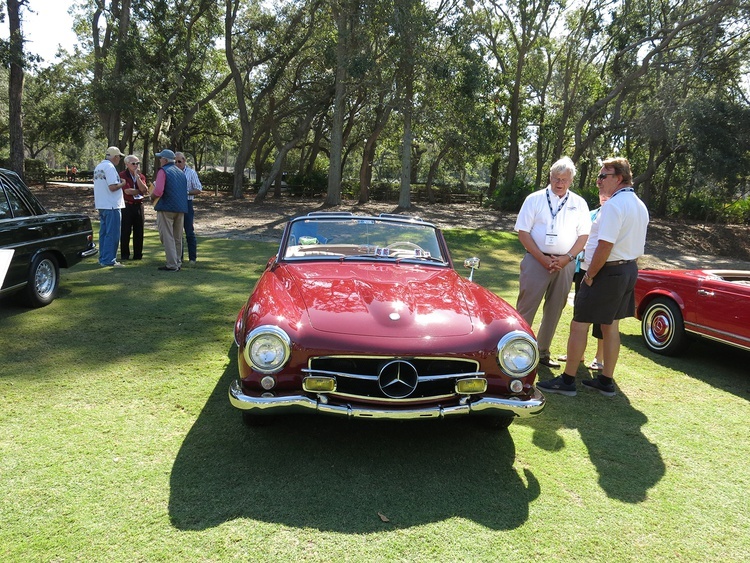 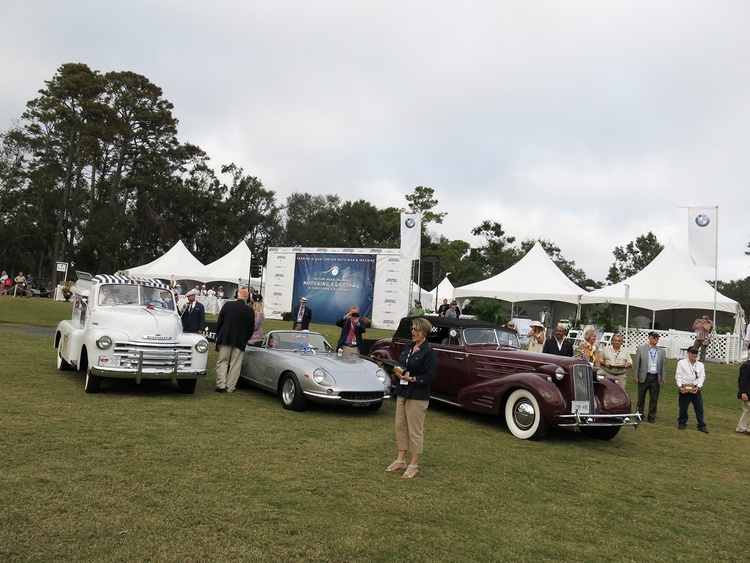 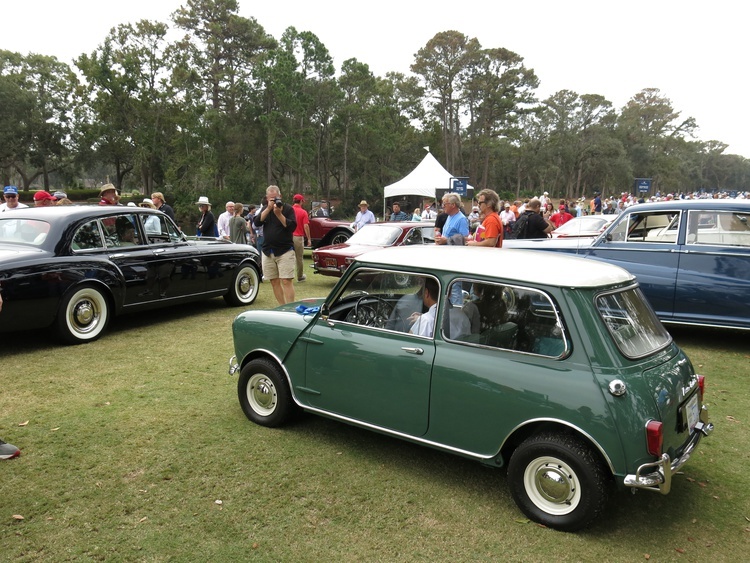 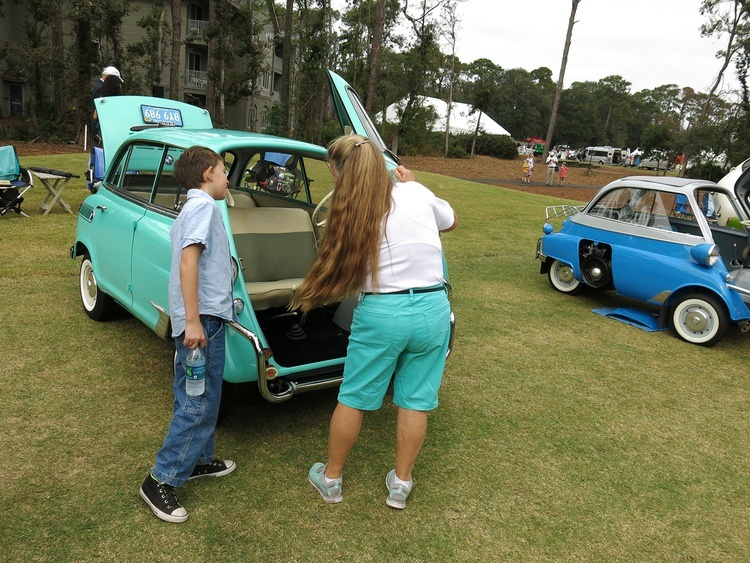 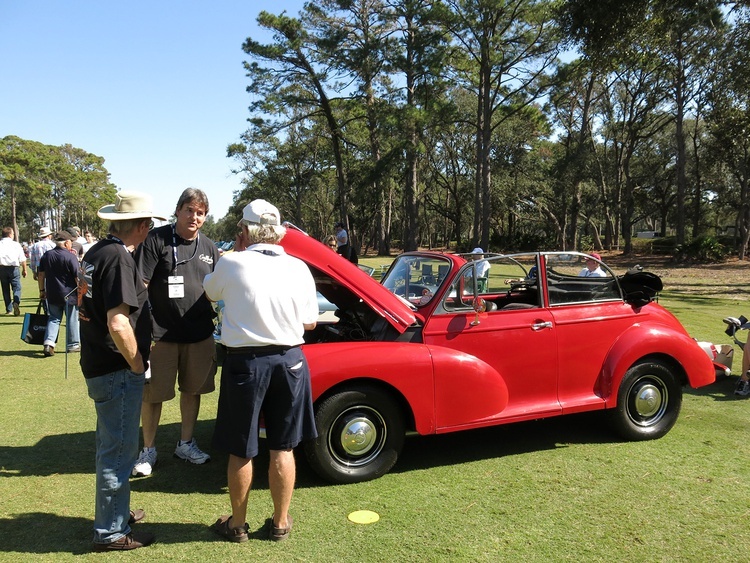 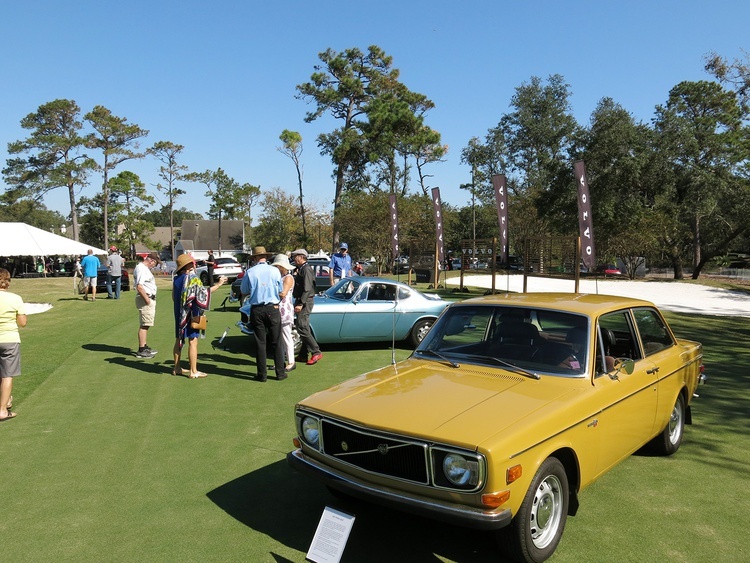 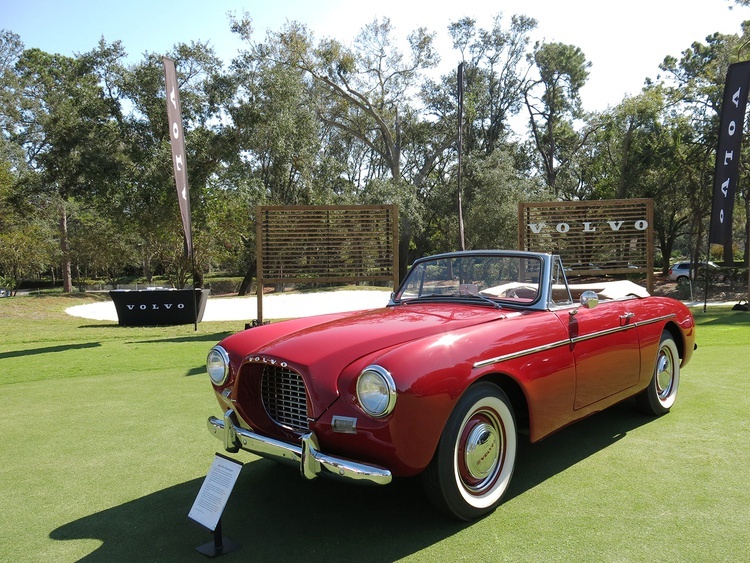 This past weekend’s Hilton Head Island Concours d’Elegance attracted one from the Rare Wheels Collection, and it went home with the Paul Doerring Founders Award, established to honor Paul Doerring, one of the key contributing founders of the event. 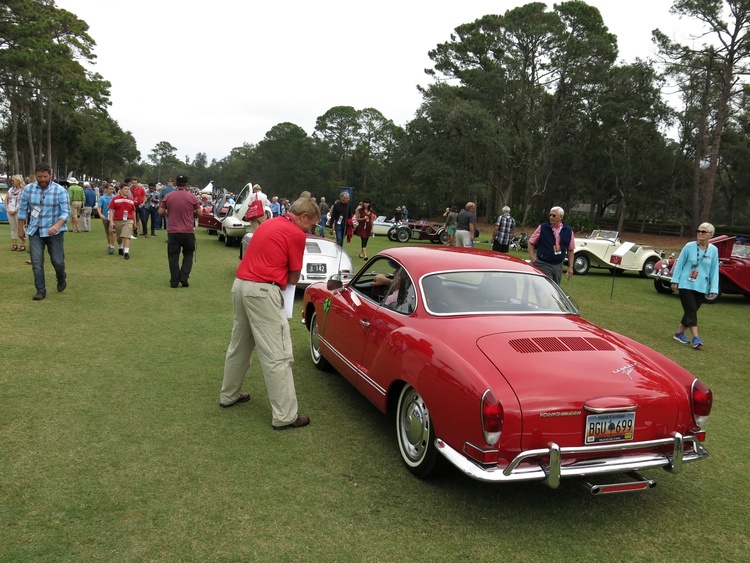 Not every winner came from a big collection backed by an even bigger piles of dollars. 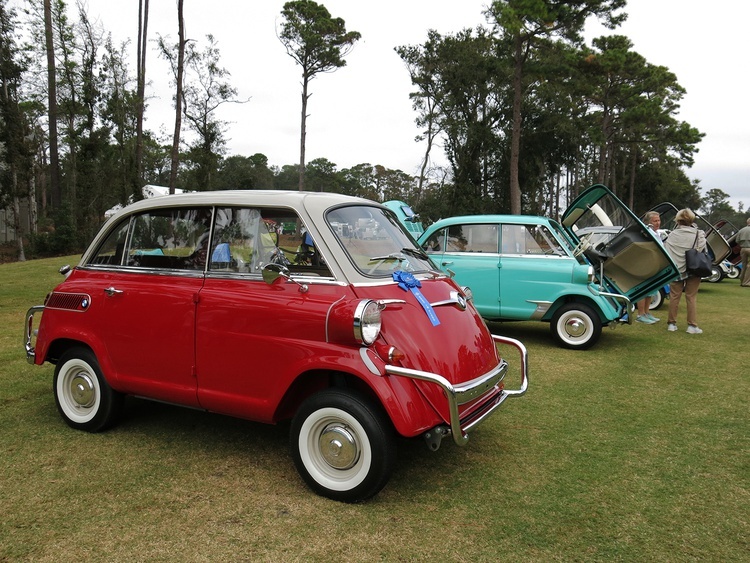 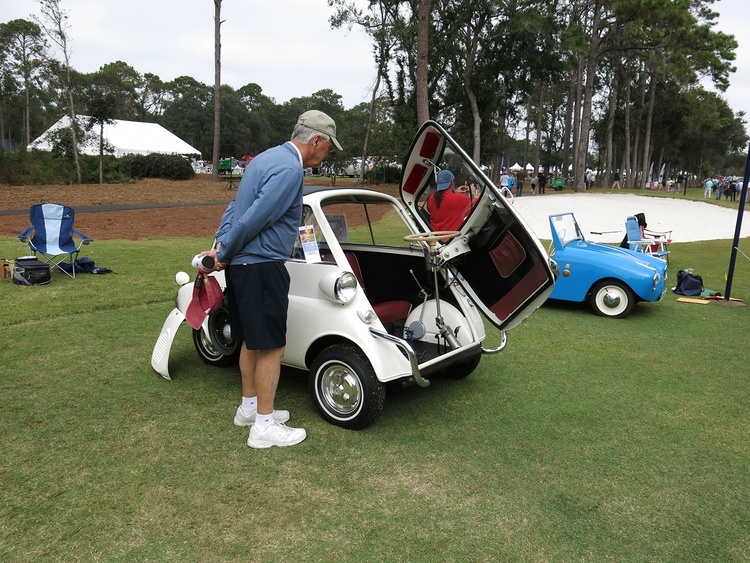 Five years ago Gary Schultz, from nearby Bluffton, South Carolina, decided that he was going to restore a BMW 600, the stretch version of the company’s iconic Isetta. 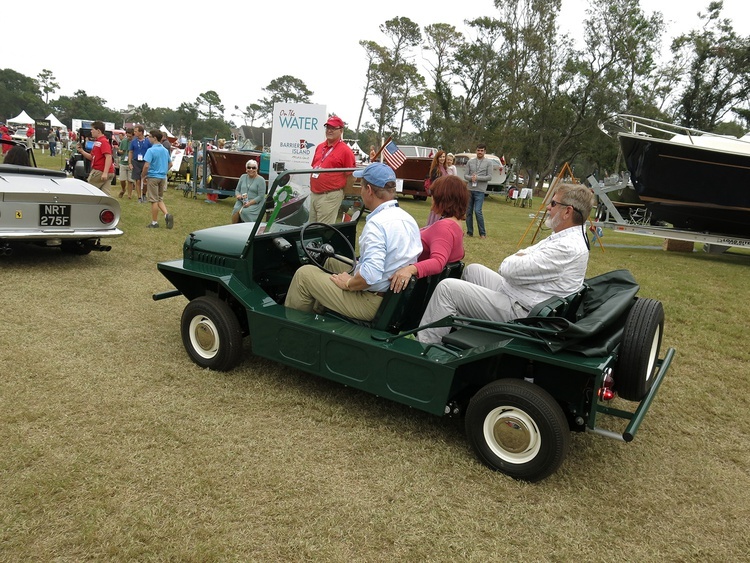 It would be his first restoration project. 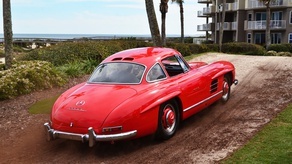 He found a “largely rust-free survivor” for sale online and tore into the project, with much of the work taking place in his two-car garage. 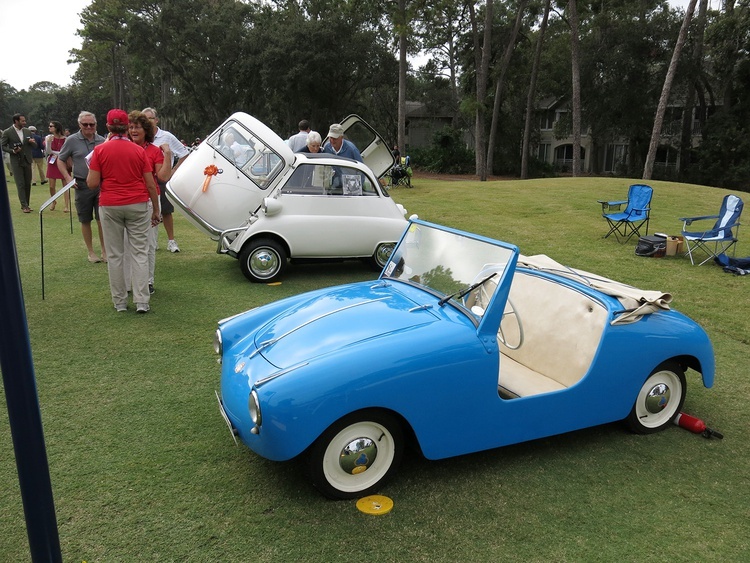 Gary’s BMW took the first place ribbon in the microcar class and, yes, a few tears were shed. 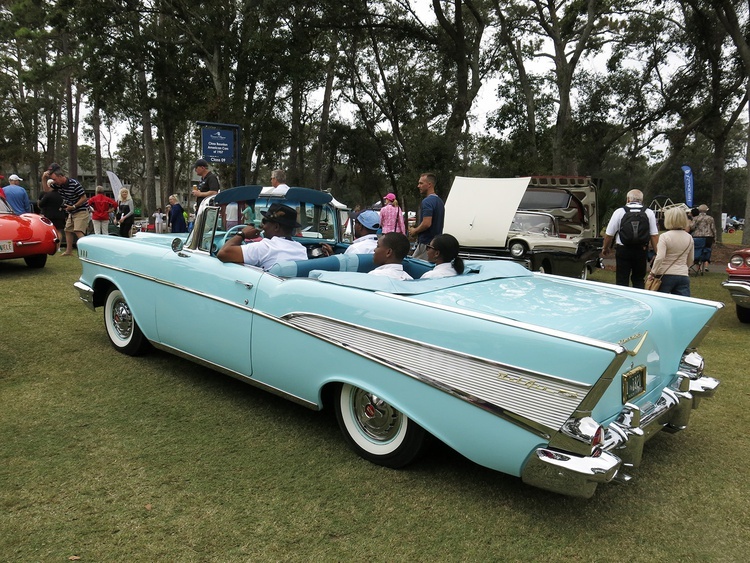 Two other standouts from the show field: Barry and Deborah Fodor’s 1953 Chevrolet 3100 Good Humor Ice Cream Truck took the People’s Choice award, while best in show went to Steven Plunkett’s 19-foot-long V16-powered 1934 Cadillac Victoria Convertible Coupe–a car that’s one of one. 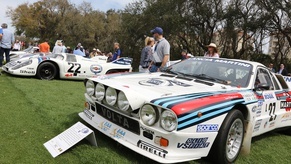 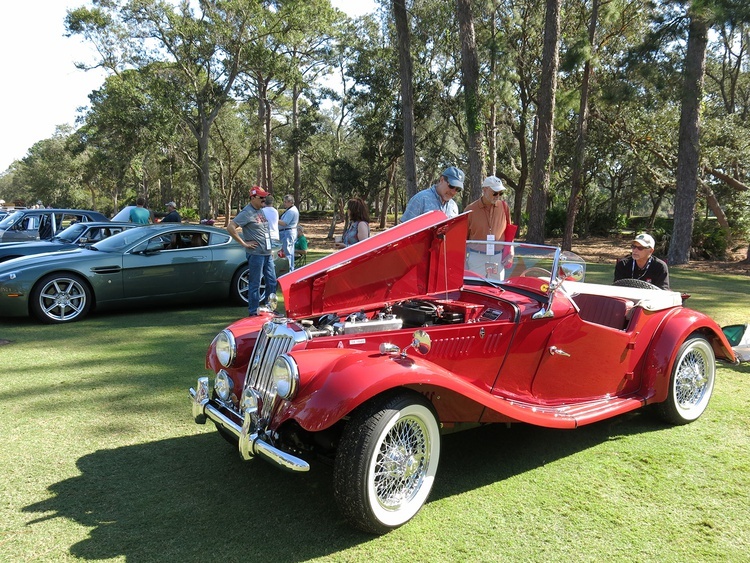 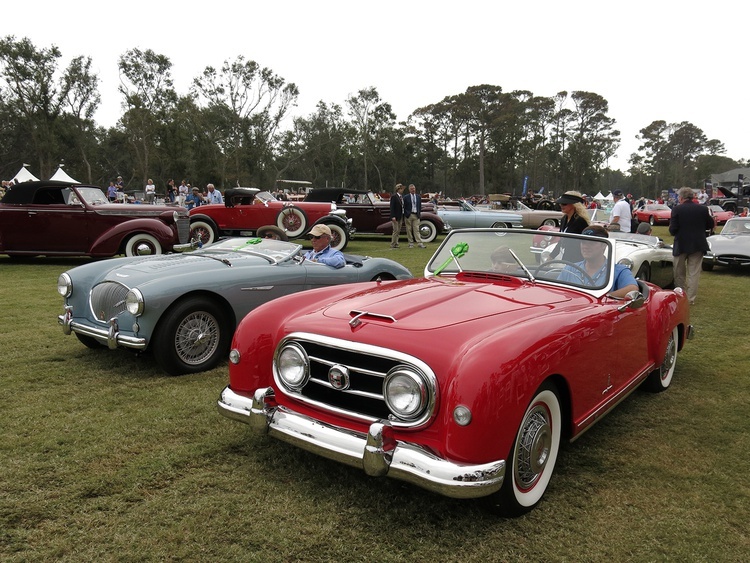 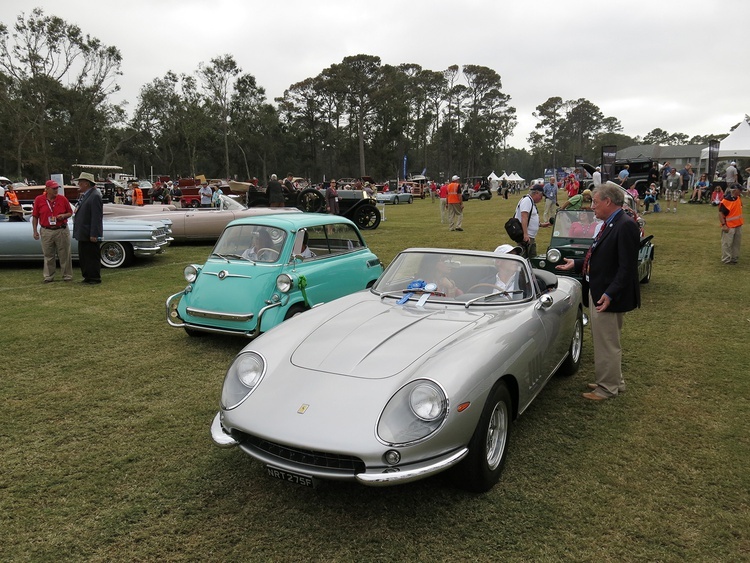 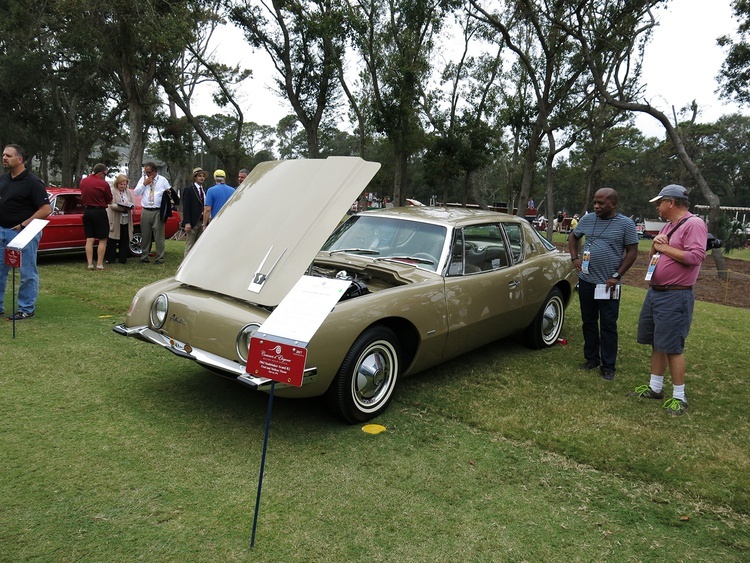 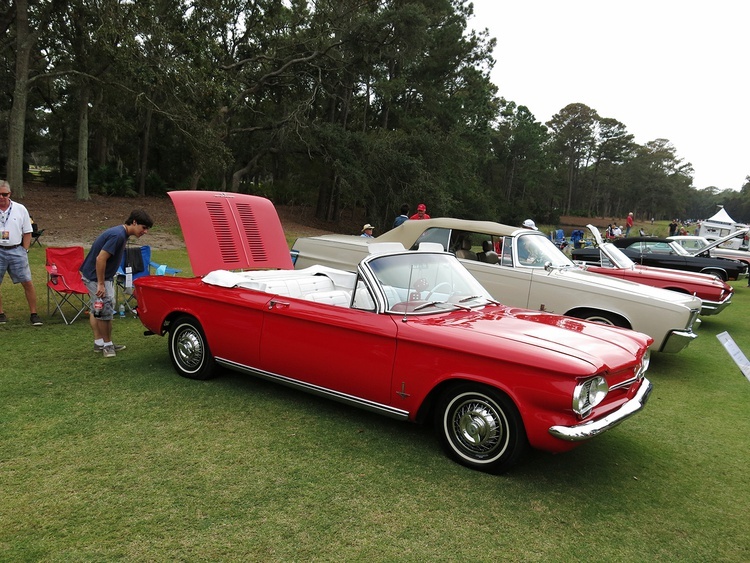 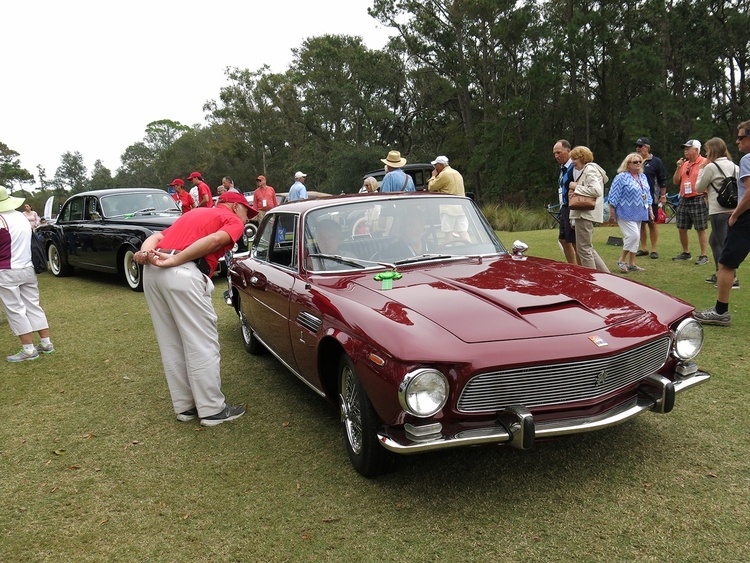 While the concours took place on Sunday, Saturday was reserved for the Car Club Showcase–lots and lots of cool cars owned by local club members.